Lisa has over 19 years of public accounting experience. Lisa graduated from University of Richmond, Robins School of Business with a degree in accounting in 1995. She received her Master’s in Taxation from American University in 2002. Lisa worked with two of the largest regional accounting firms in the Washington, D.C. area before starting her own practice in 2005. 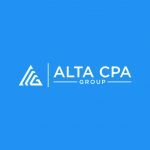 She has been managing her own practice and serving small to mid-sized businesses in the areas of income tax preparation, CFO consulting services, cash flow management, accounting services and individual and business tax planning. Lisa is a member of the Maryland Society of Accountants and the National Association of Tax Professionals.